How many people can say a PBS travel host helped plan or planned their trip?! As you know from watching the PBS travel series Dream of Italy and reading the pages of Dream of Italy (publishing for 16 years – 160 issues! 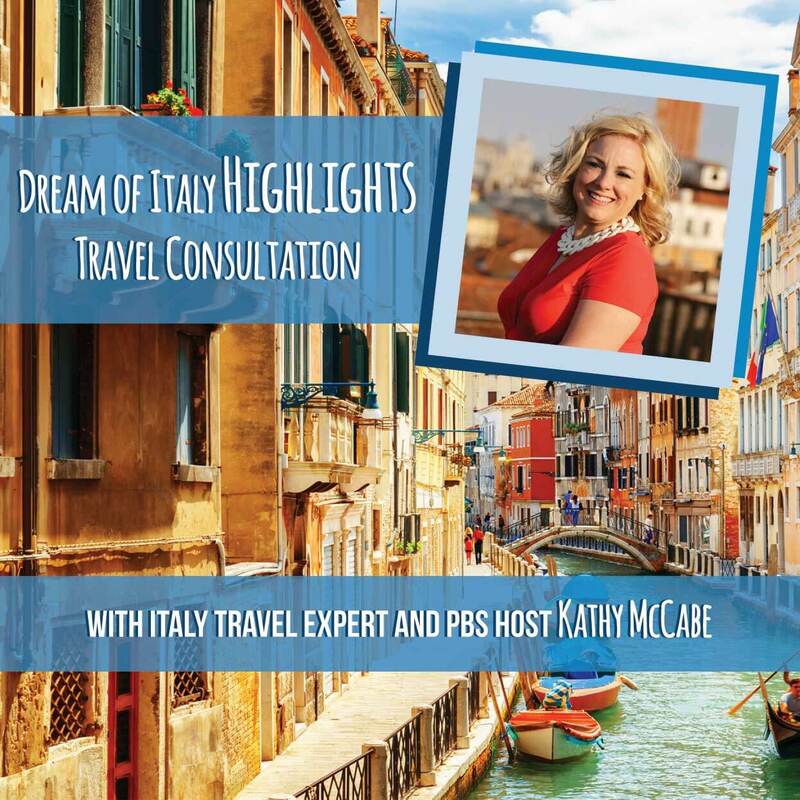 ), few people know travel to Italy like founder and host Kathy McCabe. For a limited-time, she is offering travel consultations to help YOU plan a unique and amazing trip that rivals what you see on TV! 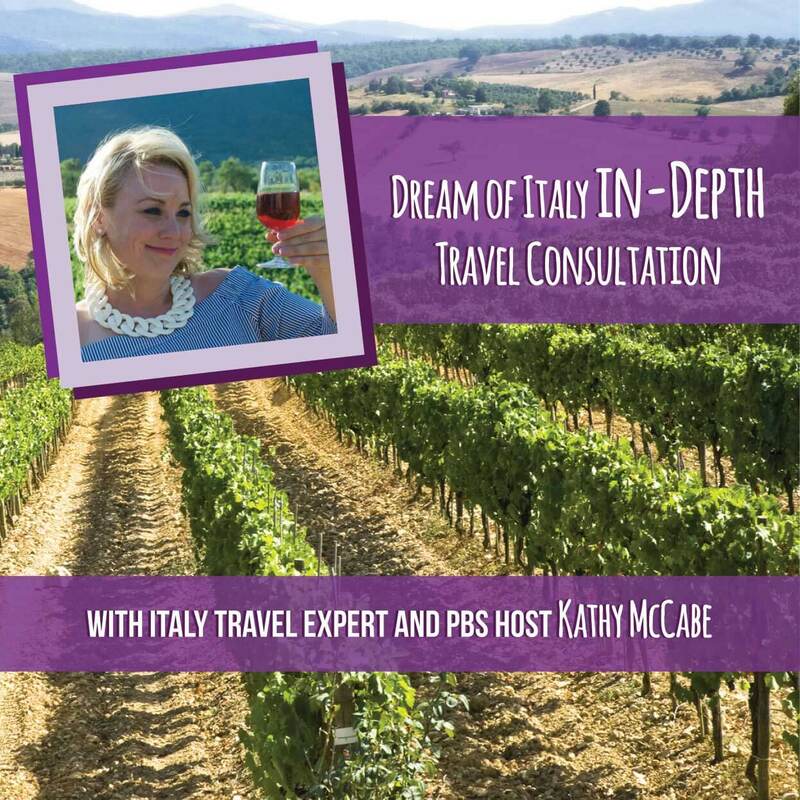 Kathy will tap into her personal rolodex to introduce you to the locals who make Italy so special plus give you recommendations on everything from where to go to where to eat. A travel consultation with Kathy is a memorable gift! Special pricing through the end of December. There are three levels of travel planning advice – from a one-time consulting session to full itinerary planning. 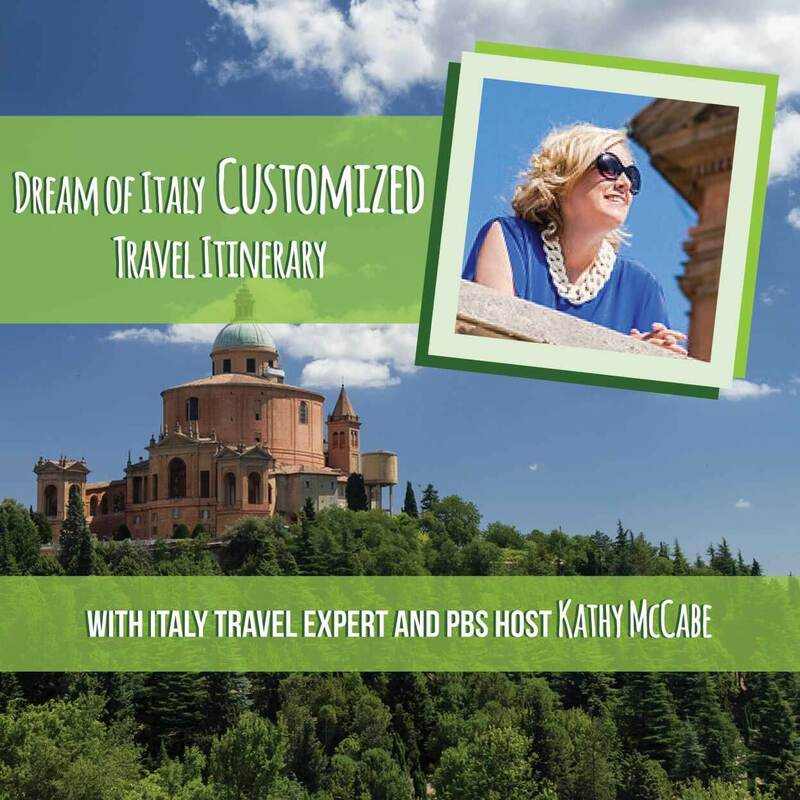 If you would prefer to be introduced to a travel planner that Kathy recommends, you can use the Dream of Italy Travel Service and she will personal match you with a personally handpicked travel planner! The best of both worlds is to do a consultation with Kathy and then she can introduce you to a planner to book everything. Due to Kathy’s busy schedule, she may not be able to offer these cosultations/itineraries long-term, but if you purchase today, you may use it any time in the next two years, even if she is no longer offering her time.